Today, Google releases new version of Android, but the company is breaking with tradition this year they usually release Nexus devices as well but oh well. Android 7.0 Nougat is rolling out as an over the air update starting today. The update is available to anyone using the Nexus 6P, Nexus 5X and Nexus 6 phones as well as the Nexus 9 and Pixel C tablets. It's also coming to the Nexus Player set-top box and the General Mobile 4G Android One smartphone. Unfortunately there is no update for Nexus 5 which is understandable. If you've been using the Android 7.0 open beta, you won't notice a ton of differences here. Google rolled out a very stable version of that beta software back at I/O in May, and it has served as a solid template for the final version coming out today. The new features of Android Nougat aren't exactly a surprise at this point, but they're worth reviewing as the OS rolls out more widely. Probably the two biggest user-facing changes are new notifications and a multi-tasking mode. Notifications are now grouped by app in the notification shade; you can pull down on any app's alerts to get the full list. You can also reply directly from notifications, something that iOS has actually had for longer than Android. Multi-window multitasking lets you run two apps side-by-side, just like you can on the iPad when running iOS 9. This multitasking mode will probably be most useful on tablets like the Pixel C, but it works on smartphones as well -- and the experience is a lot better than we originally expected. Nougat also has a bunch of small tweaks that make getting around the OS generally and more personalized to you. The quick settings menu can now be customized to include the things you access the most, and double-tapping the multitasking button switches you between the two more recent apps you've used. Doze mode, a battery-saving measure introduced last year in Android Marshmallow, has also been tweaked. Previously, Doze would put your phone into a lower-energy mode when the screen was off and the phone wasn't moving, but now it's smart enough to stay in low-power mode even when you're moving around (say, if your phone is tucked in your pocket or backpack). Perhaps less immediately useful but no less significant is how Android Nougat will handle software updates. If you're running a "new" Android device with Nougat, software updates will install in the background and be present when you reboot your phone -- there's no more waiting with your phone totally locked up while new software installs. But it looks like only devices released from this point forward will have this feature. Current Nexus devices will benefit from much faster software updates, but it'll still be in the old fashion where your phone reboots and is unable to be used during installation. 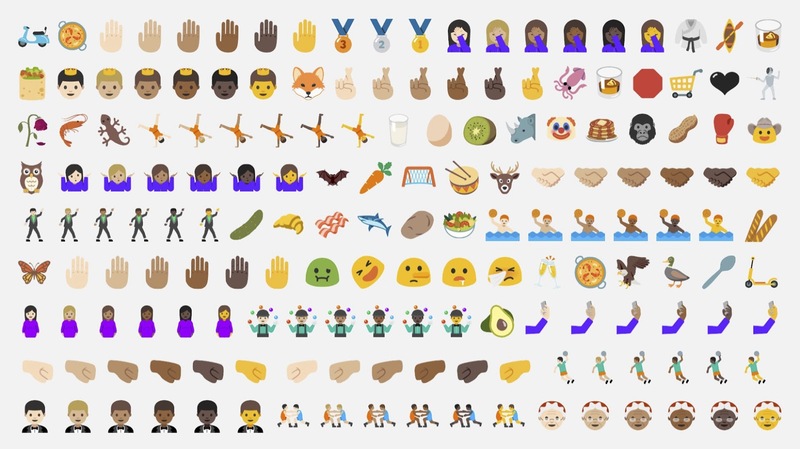 Most significantly, there are 72 new emoji available in Nougat. Get to texting. 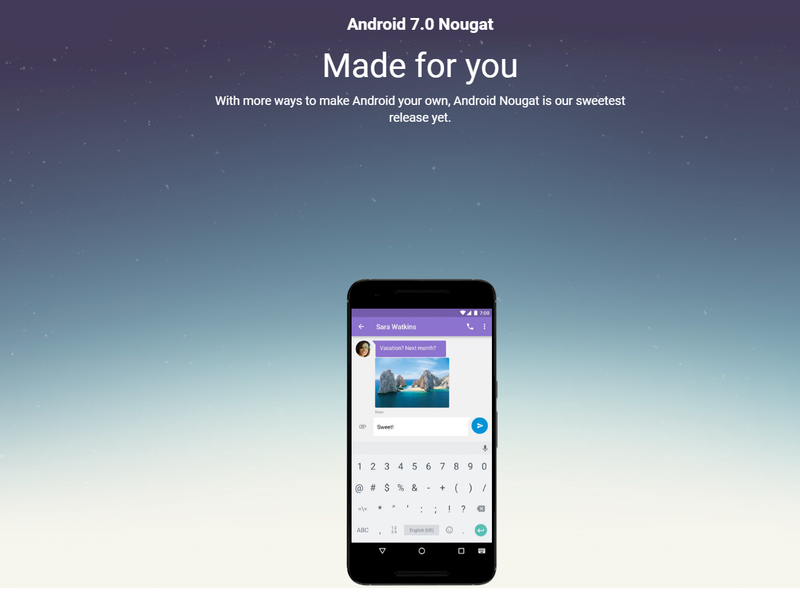 There are a lot more new features to be found in Nougat, but these are the ones that most users will want to use as soon as the update hits their phones. Unfortunately, it might be a little bit before that happens -- in classic Google fashion, the update will be rolling out "in the coming weeks." Vulkan: Games will now leap to life thanks to high-speed, next-generation graphics — all powered by your device’s multi-core processor.